OffNoise-Solutions has developed an innovative noise mitigation method to reduce the underwater offshore piling noise. This HSD-System provides a HSD-Net with special sound mitigating elements. 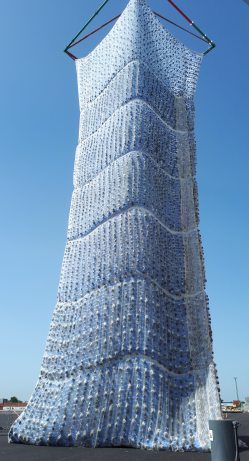 The net is installed around the whole monopile in its full height. In this way, the noise can be mitigated directly at the source of the noise. The distribution and size of the HSD-Elements is variable and depending on the main frequencies of noise. It is therefore possible to tune the HSD-Nets to the special conditions. 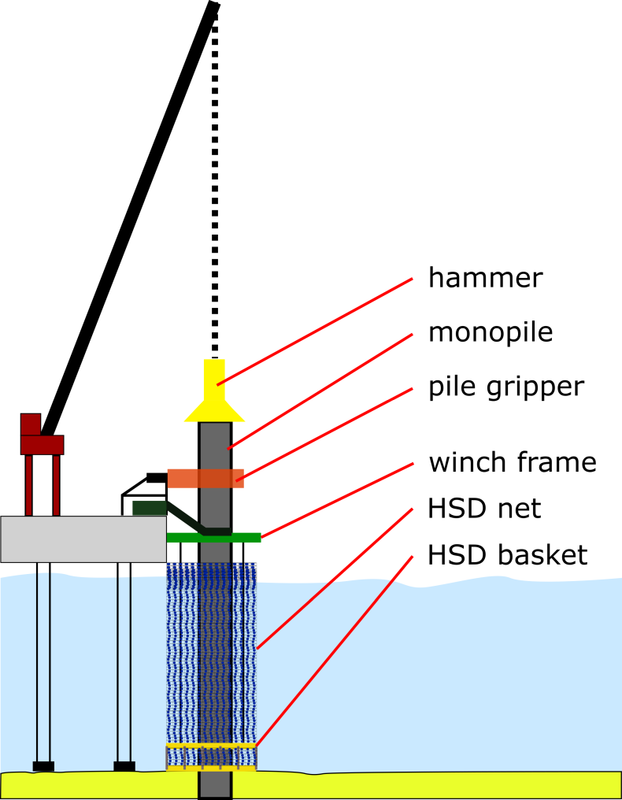 The HSD-System essentially consists of the HSD-Net connected to a ballast basket, some wires and a winch frame to lower the basket to the sea ground. During lowering the basket, the buoyancy force of the air filled HSD-Elements unfolds the HSD-Net. At the end of the pile driving work the net basket can be lifted to the vessel. The HSD-Net falls back into the basket automatically. 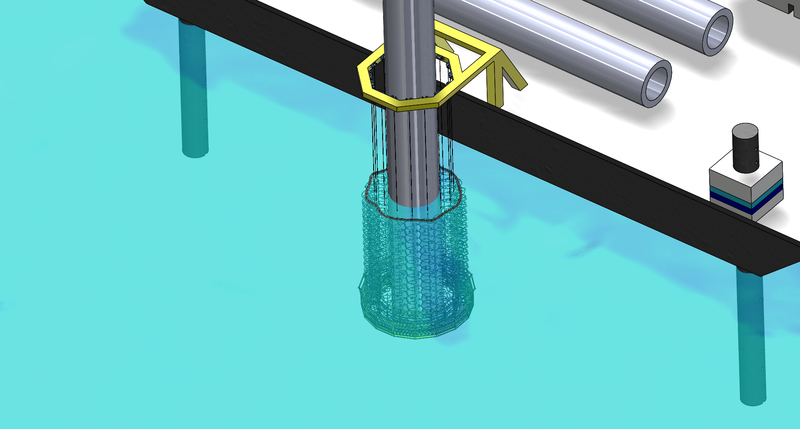 A small curtain (SBC) mounted on the net basket can increase the efficiency of the HSD-System. A HSD-Net consists of multiple net planes. The sound mitigating HSD-Elements are located between the net planes. HSD-Elements are made of PE-foam or rubber material. The HSD-Net is segmented over the height into several sections.